Dr. Yang teaches traditional kung fu wrestling for taking down an opponent. Shuai Jiao specializes in countering against punching and kicking, using defense as the offense. Shuai Jiao is one of the four main fighting categories of traditional Chinese martial arts: Kicking (Ti, 踢), Striking (Da, 打), Chin Na (Na, 拿), and Wrestling (Shuai, 摔). Shuai Jiao specializes in countering against punching and kicking, using defense as the offense. Shuai Jiao is commonly used for short range fighting and taking down an opponent. Dr. Yang, Jwing-Ming offers in-depth instruction of the history, key concepts, solo and partner drills, and fundamental Shuai Jiao movements. Dr. Yang demonstrates practical defense techniques, with an emphasis on how to safely intercept, repel, and neutralize incoming strikes. 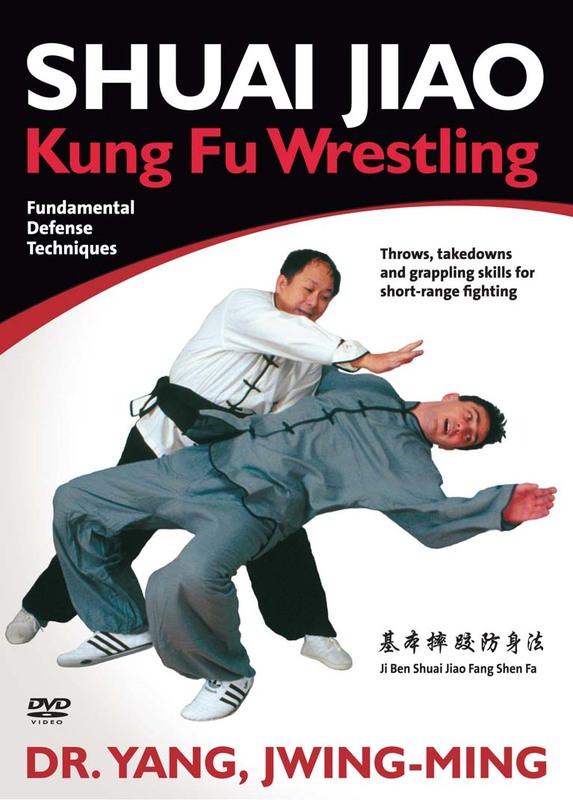 Over 25 Shuai Jiao takedown techniques are instructed step-by-step, with corrections for common mistakes. These wrestling techniques are an excellent compliment to your sparring skills, and can be easily incorporated into all martial art styles.